The season of renewal is sweeping in like an overdue change of air, which means it’s time to refresh our closets and leave behind our heaviest winter layers—and fashion worries. The best way to hit the reset button on your wardrobe? Try something new! We compiled a checklist to help kick-start your closet spring fest with finesse and stretch your style. 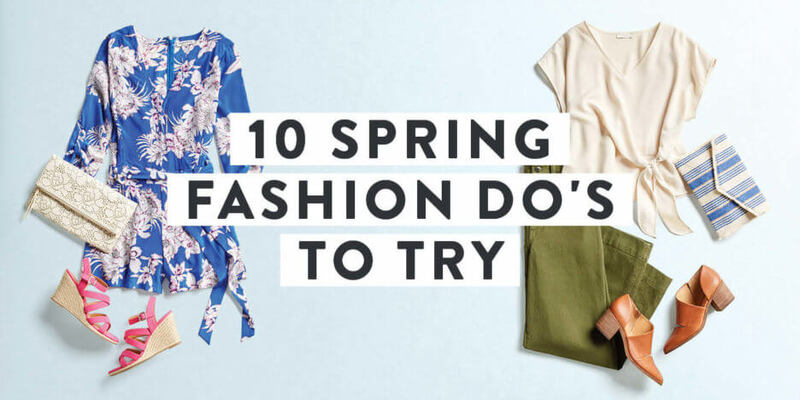 Keep reading to see what to try this spring. Mix it up! 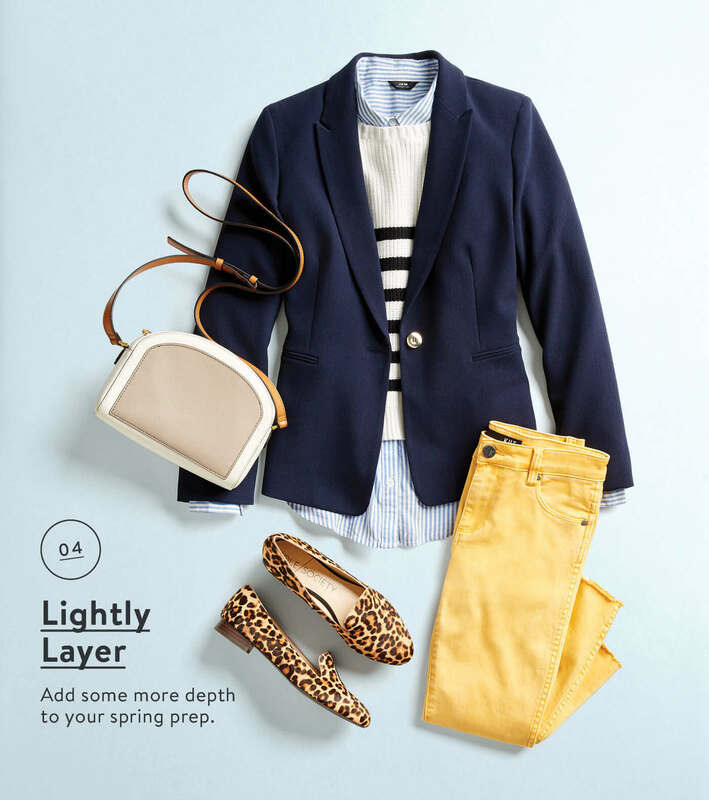 Florals and stripes are an effortless way to get started. 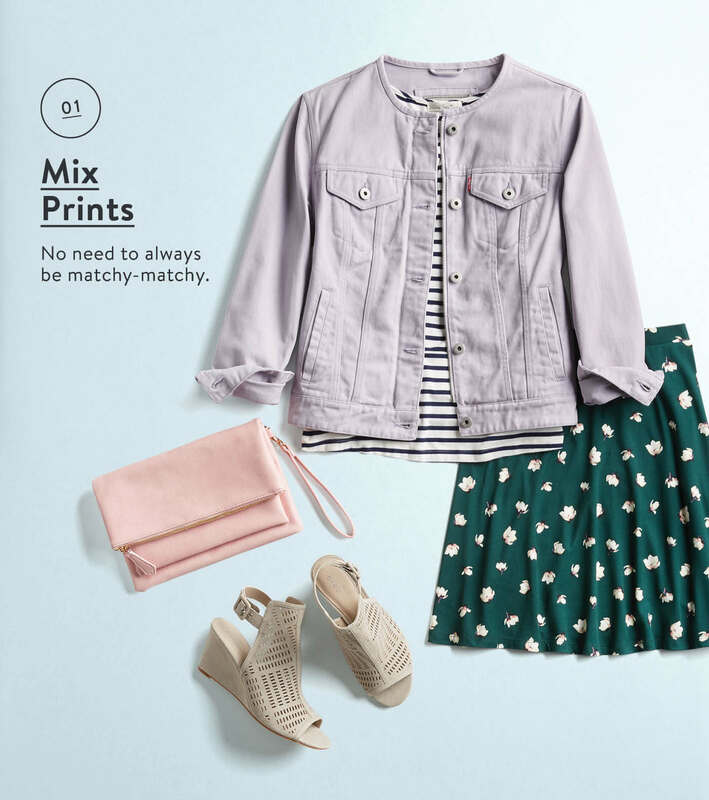 Already a print-mixing pro? Try combining unexpected prints such as leopard print with a moody floral. If you’ve been flirting with the idea of a new print, now’s the moment to make a move. 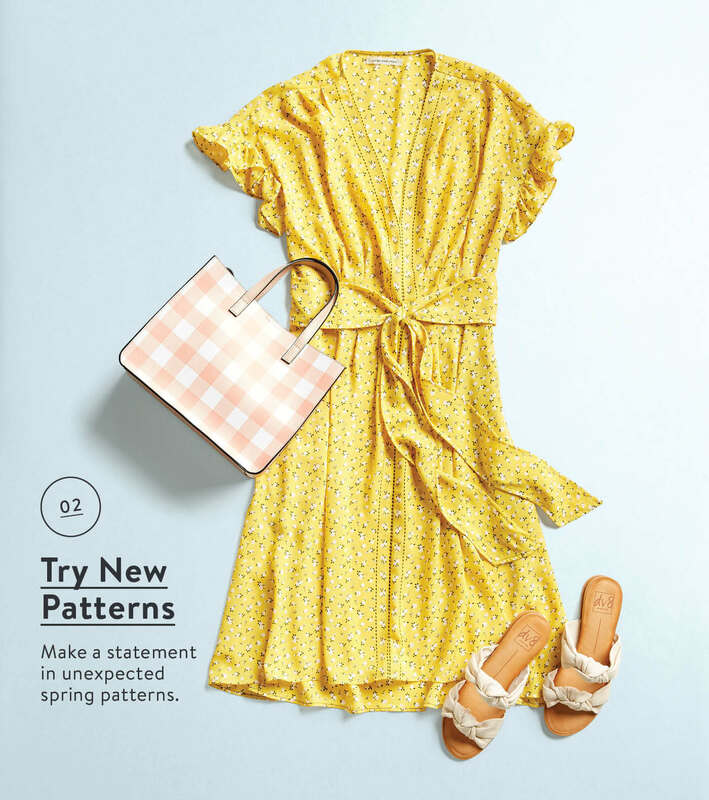 Here’s the inside scoop: stripes, dots, florals and gingham are coming back livelier than ever, and animal prints are still going strong. Want to test the waters first? Opt for a printed bag! 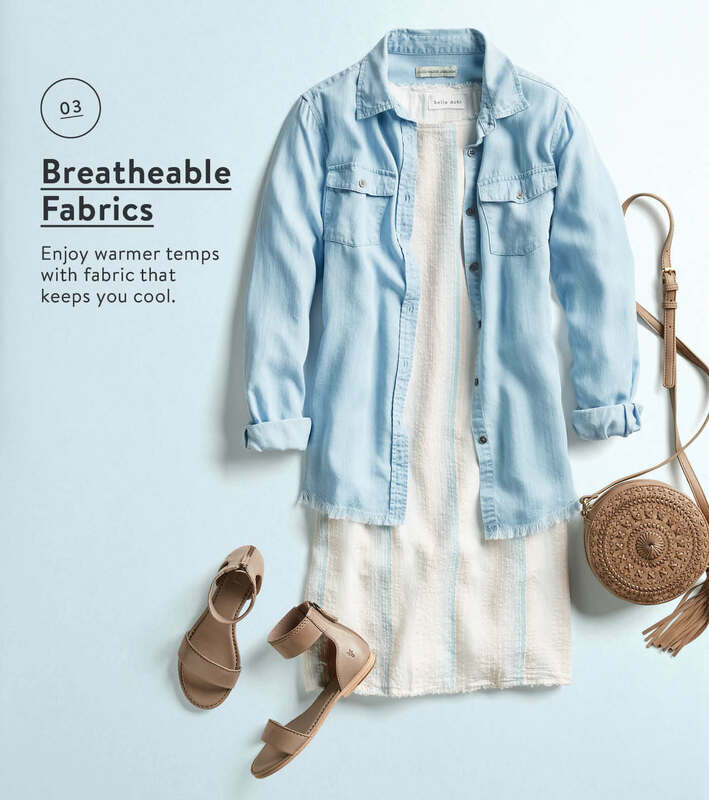 Spring may not be very hot, but start preparing your closet with new breathable fabrics you can wear into summer. Pair them with lightweight layers now, and then wear solo when the summer heat strikes. Bare with us here—spring layers are like chameleons and 100% fuss-free. Whether it’s your trusty cargo jacket, an easy vest or a transitional lightweight sweater, introducing a layer only means adding more depth to your look. Rising temps are the perfect excuse to dip your toes into something new. From vibrant sandals to statement mules, shoes give you the chance to try a different color or a whole new style—just slip on and go. Whether you prefer to show a little cleavage or love flaunting your legs, give your skin some Vitamin D with a slinky cami, a V-neck dress or a leg-baring skirt (just don’t forget your sunscreen). 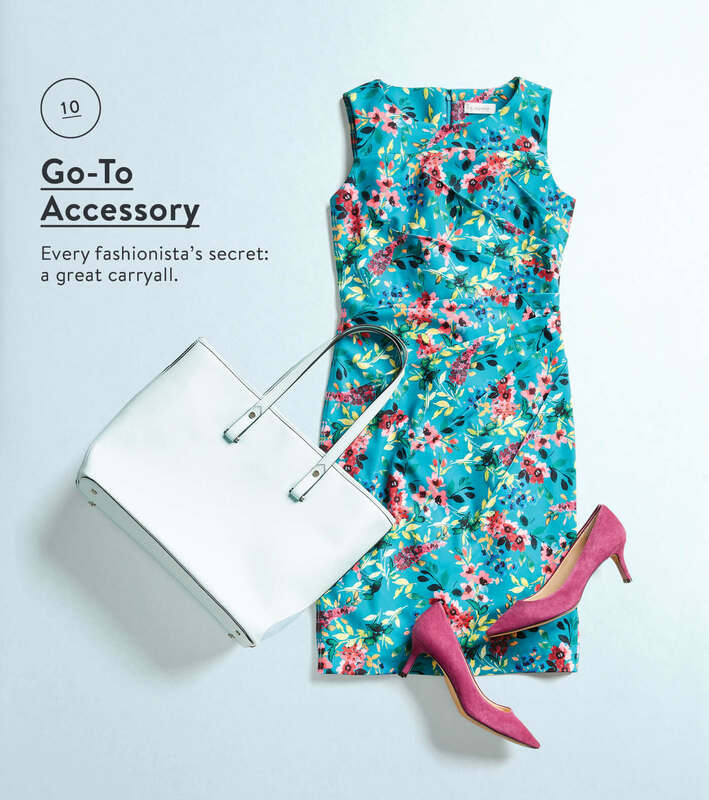 We’re gushing over all of the pretty details you can add to your spring wardrobe. Boho embroidery and fringe are having a moment of sorts, but you can also opt for something more minimal like a dainty eyelet top or scalloped sleeves. Red can signify whatever you want it to, whether that’s bold and fearless, or romantic and prim. Choose the right red for you, and decide how you wish to incorporate it into your outfit by making a statement with head-to-toe scarlet, or opting for a vibrant, poppy splash. It’s time to throw in a curveball. 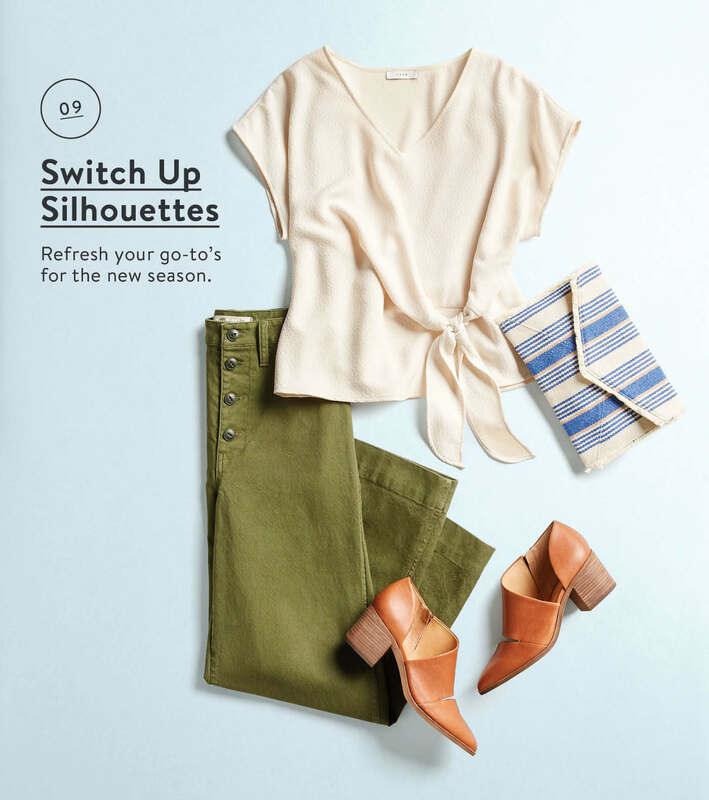 Give your legs a refreshing treat by switching up your usual pants or jeans. Stuck in a denim rut? Try a casual wide-leg trouser or embrace a polished pencil skirt. Breaking away from your winter knits? Don a boxy top for a breezy approach. 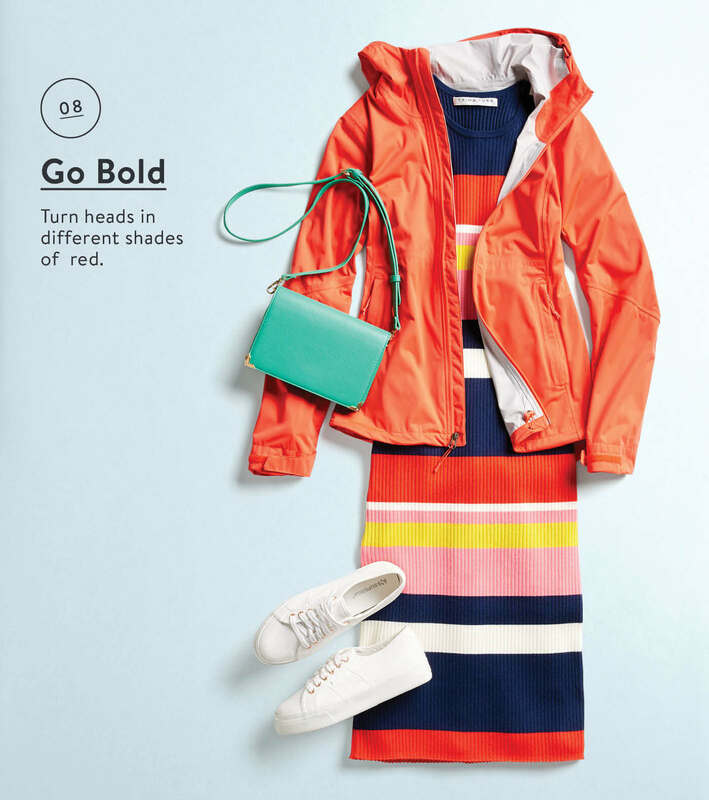 Give your workwear a dash of oomph and stretch for pop-of-color accessories like bold earrings or bags. Looking for a versatile companion? Effortlessly glide from work to weekend with the help of a crisp carryall tote to complement your floral pieces. The seasons are a-changin’, but so are we. A change of air is always refreshing, so find something new you love and give it a go this season!